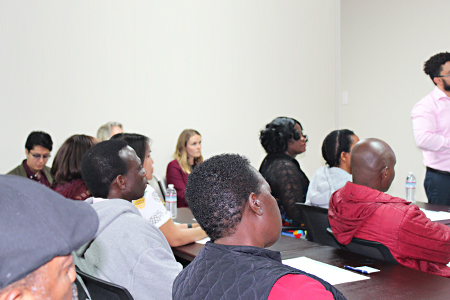 In collaboration with the San Diego County District Attorney» and Center for Community Solutions», MIND» (Matters Involving Neuro-Disorders), a program of Nile Sisters Development Initiative (NSDI), convened a Domestic Violence Workshop on Wednesday, March 27, 2019. The event raised awareness of domestic violence following the tragic death of a Somali resident» of the City Heights neighborhood of San Diego. 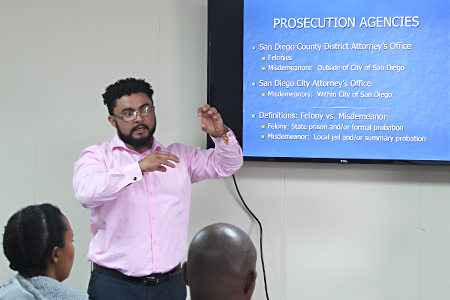 During the informational workshop, presenters shared facts on domestic violence dynamics, statistics, overview of the criminal justice system, and resources» for crime victims, including the Victim Compensation Board». 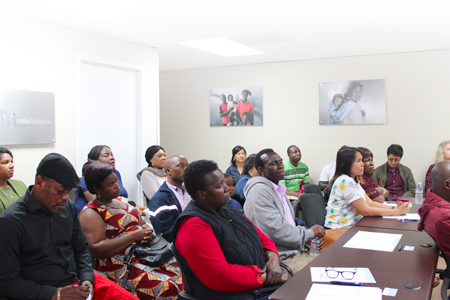 MIND staff provided language interpretation for speakers of French and Swahili with limited-English proficiency. Twenty-five individuals, including newly arrived refugees and former refugees, advocates, representatives from County of San Diego, and other local nonprofit organizations, participated in the event.